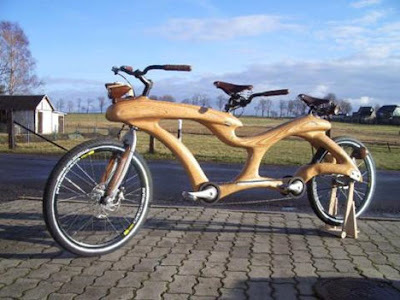 A wooden bicycle built for two. I wouldn't be to certain that two of these were never ridden, by anyone, but maybe. 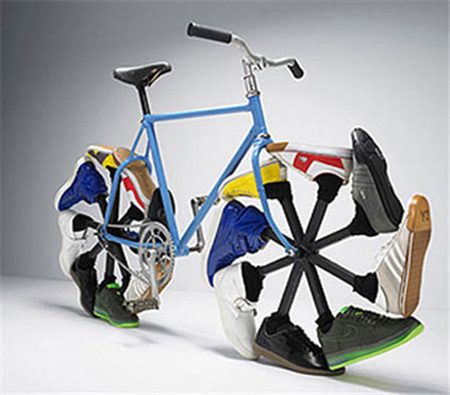 Browsing through all of the bicycles was a bit time consuming, but what the heck, I've got plenty of that (most days). I had a bike for my tenth birthday, a 24 inch red one, I put a lot of miles on it, and it's replacement a used 16 inch bike. 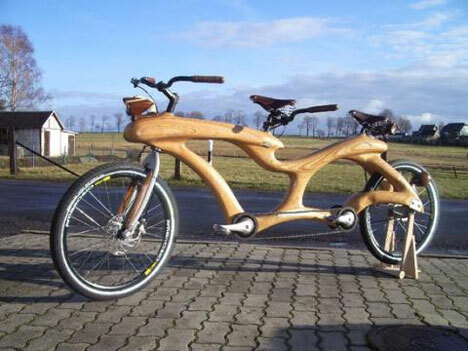 Every once in a while I'll get the urge to buy a new one, but where would I ride it? We live in a quiet little place, but the road to get here is busy, busy and the hills! The hills! No way would I really get any use out of a bike. So just take a look at what I found, maybe you'd like to try one of these. 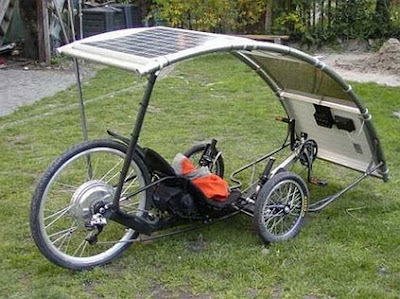 A solar powered recumbent bike, sit where the orange tarp is, almost lying down. 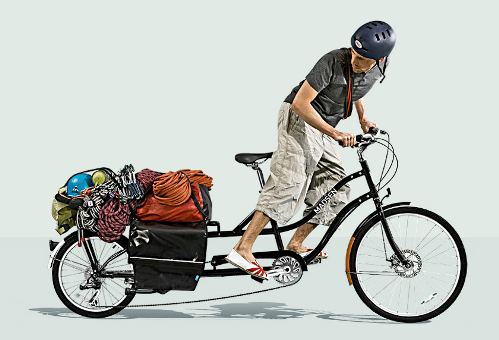 A Madsen utility bike, your own human powered pickup truck.